You may have heard Texas is “like a whole other country.” Whether you’re seeking remote natural wonders, big city adventures, tropical beaches, deserts, prairies or forests, The Lone Star State has it all. From bodies of water to lush forests, cities, and deserts, Texas offers it all for RVers. In fact, it has so much to offer that it can be hard to know where to start before you go RVing in Texas. To pinpoint your travels, look at the state’s seven distinct geographical regions, each with its own unique attractions, landscapes, climates, and wildlife. 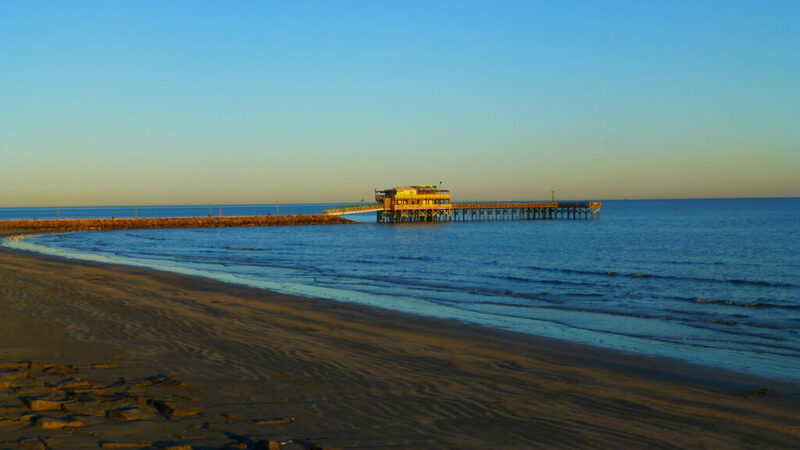 In East Texas is the Gulf Coast that’s home to 600 miles of sandy beaches, along with the state’s largest city, Houston. The marshes and wetlands of the coast encompass millions of migratory birds, as well as wildlife such as alligators, crabs, and sea turtles. When RVing in Texas it’s good to know that the Gulf Coast is home to expansive beaches and is popular among college spring breakers. So, if you’re looking for some peace and quiet, plan your travels around the area in March. Other shore side hot spots include South Padre Island, Galveston, Corpus Christi, and Port Aransas. Summer months attract the crowds of vacationing families. After all, it’s when the temps soar to more than 95 F. Yet, they drop to the mid-80s and high 70s F come fall. This is also peak hurricane season, so you need to pay attention to the forecast. So, it’s no surprise that winter, with milder temps, is the prime time to visit the Gulf Coast. After lounging on the beaches, RVing in Texas also means enjoying some big city excitement in Houston. This is where you’ll find a world-class museum district, theaters, shopping, dining, and all the amenities you would expect from the 4th largest city in the U.S. If you’re traveling with children, don’t miss the spectacular Houston Children’s Museum and Space Center Houston. Ask anyone what the best places to go RVing on the Texas Golf Coast are and chances are any one of these areas will come up. 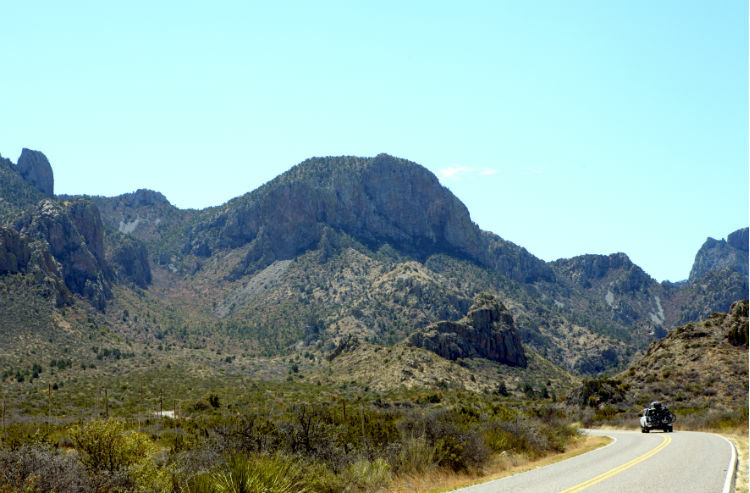 If you’re looking for breathtaking desert landscapes with mountains and valleys, then visit Big Bend Country. This region in Western Texas is home to Big Bend National Park. It offers miles of hiking trails through awe-inspiring mountain tops and deep canyons carved out by the Rio Grande. Big Bend Country is truly a unique destination. Photo by Kenny Braun. A visit to Big Bend Country wouldn’t be complete without stopping in Marfa, Texas. This tiny desert town of 2,000 residents attracts thousands of visitors each year. Galleries, music festivals, quirky lodging, and dining options make this a truly unique destination. At the region’s Western border is El Paso, the largest border city in the U.S. and across the Rio Grande. Be sure you have your passport if you’d like to explore this sister city. In addition to its shopping, dining, culture, and nightlife, history buffs will appreciate the Mission Trail. This is where you can visit Spanish missions dating back to the 16th century. Also, for a little more adventure try going to the top of Texas and experience the Guadalupe Mountains. 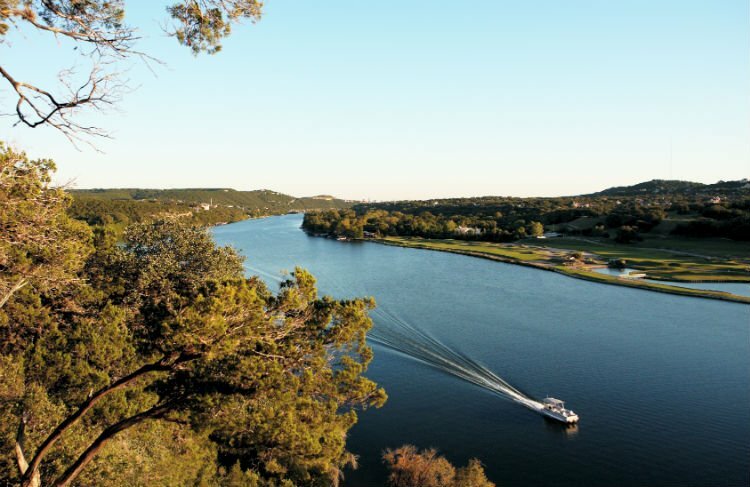 Rolling hills, lakes, and rivers dominate the landscape throughout Hill Country. 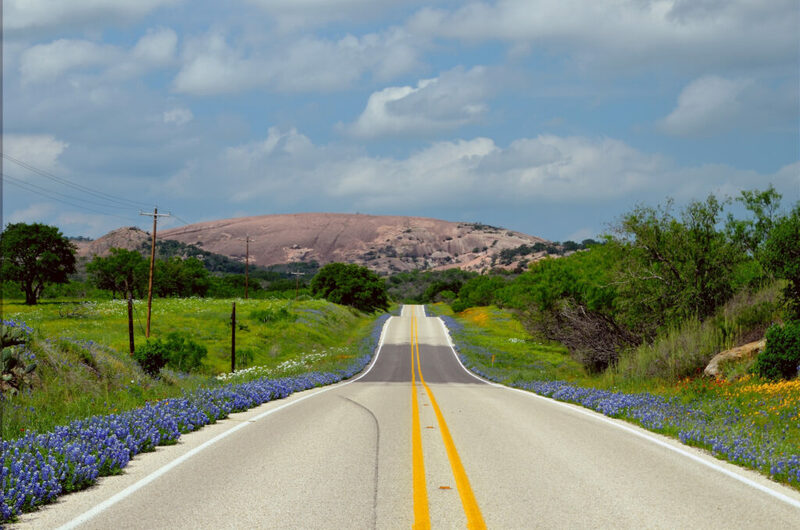 Spring is wildflower season when the state highways and county roads are awash in fields of Texas bluebonnets, Indian paintbrushes, sunflowers, and many other varieties. A popular place to visit when exploring Texas Hill Country is Austin, the state capital. It’s especially known for its hipster culture and thriving high-tech industry. The University of Texas campus is here, along with the impressive Texas State Capitol building and the Texas State History Museum. Central and South Austin have quirky boutiques, mouth-watering restaurants, food trailers, and live music venues. Texas barbecue is served with pride throughout the state but Hill Country is where you’ll find some of the very best. If you ask the locals, you’ll get many different opinions on which ones are the tastiest. Austin has its share of favorites, but communities like Lockhart, Elgin, Bastrop, Luling, and Taylor form the popular Texas Barbecue Trail. The Panhandle Plains region is the northern section of Texas. A highlight here is Historic Route 66. So, RVers following the Mother Road can cruise right through the city of Amarillo. Or, perhaps stop by Cadillac Ranch, the iconic roadside attraction where ten Cadillacs are planted hood down into the earth as a piece of public art. You may also want to try visiting some of the Route 66 backroads where you can find even more adventures. To continue your trip, visit the Buddy Holly Center in Lubbock, which commemorates his life and legendary music. The geography of this area is also dynamic. It includes dramatic canyons with up to 1,000-foot walls. Palo Duro Canyon State Park near Amarillo is known among many as the “Grand Canyon of Texas.” It’s the second largest canyon in the nation where you can hike, bike or go horseback riding. The Piney Woods region features towering pine trees and lush hardwood forests. Some of the rural towns—like Jefferson, Tyler, and Nacogdoches—still have touches of the old South with historic plantation homes. If you head further east the landscape turns to wetlands and bayous. In the northeastern corner of the state, near the Louisiana state line, you’ll find Caddo Lake State Park. 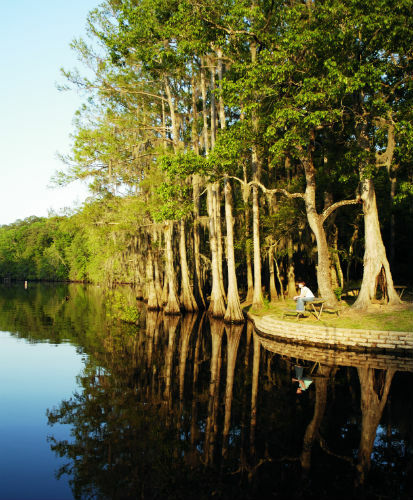 Tall cypress trees with Spanish moss, hiking trails, and canoeing or kayaking can all be enjoyed here. Further south is Big Thicket National Preserve. This is a heavily forested area where hundreds of species of birds, amphibians, reptiles, and mammals converge. Birders should keep an eye out for more than 300 species of birds, some of which are now endangered. Fishing, hunting, hiking, and canoeing or kayaking can also be enjoyed. The metropolitan area encompassing Dallas, Fort Worth, and their many suburbs is where you’ll find most of the population in this region. Dallas is popular for its luxury shopping and high-end dining. But there are also plenty of options at any price range. 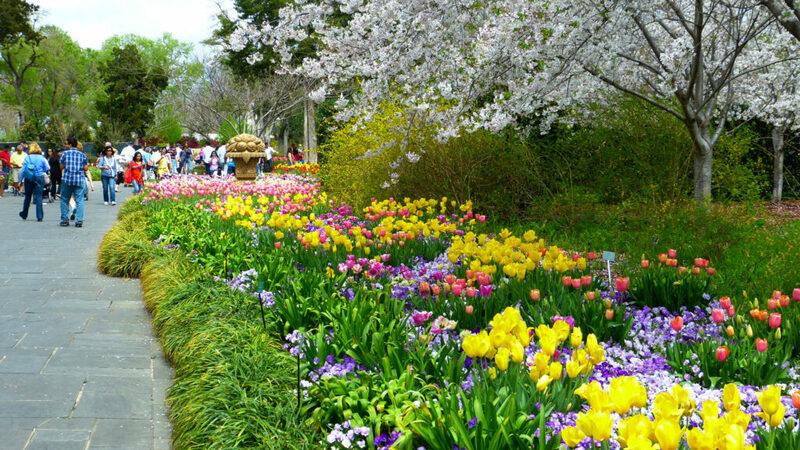 Visit the Dallas Arboretum and Botanical Garden—a beautiful oasis in the middle of the city—the George W. Bush Presidential Library or the Sixth Floor Museum at Dealey Plaza. Nearby Fort Worth is cowboy country where you can witness cattle drives of Texas Longhorns at the Fort Worth Stockyards. Other attractions include The National Cowgirl Museum and Sundance Square. Rollercoaster enthusiasts may want to head to Arlington and visit Six Flags Over Texas. There’s also the neighboring water park, Six Flags Hurricane Harbor. Other metro areas in the Prairies and Lakes region of Texas include Bryan-College Station, the home of Texas A&M University, and Waco, home to Baylor University. San Antonio, the largest city in this region, is one of the fastest growing metro areas in the country. A famous attraction is the Alamo, which is a shrine to Texas independence and is open daily. 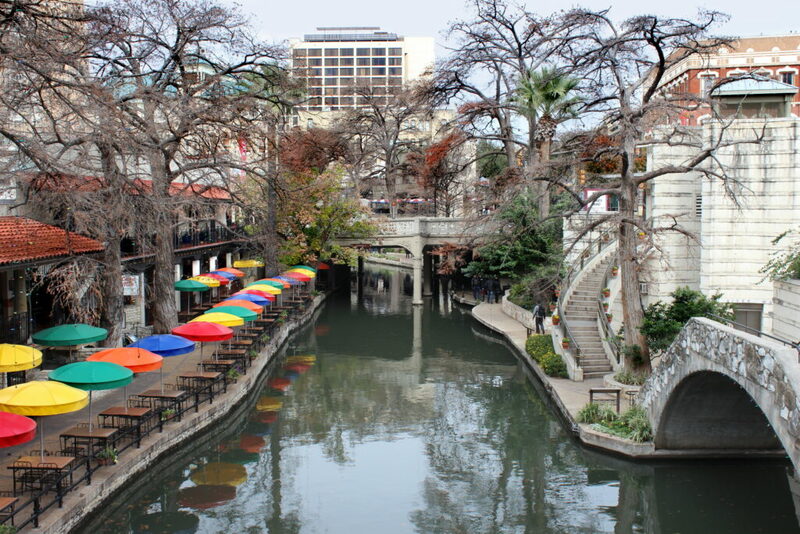 The San Antonio Riverwalk is another key destination. It features a series of restaurants, shops, and galleries. The Riverwalk has had multiple expansions in recent years, and now connects several areas of the city through 15 miles of sidewalks and bike trails. As you head further south into the Rio Grande Valley, the subtropical climate of this region becomes even more pronounced. Cities like Laredo, Eagle Pass, and McAllen offer a colorful blend of Mexican and American culture. This part of Texas is at about the same latitude as Southern Florida, which makes for the perfect place to spend winter months. With such a diverse range of experiences and climates, RVing in Texas is the perfect destination. Now that you’re familiar with the seven regions, it’s time to pick a starting place and hit the road. I live here! 95% of Texas land is private. Texas Boondocking is an oxymoron. When I camp, I leave the state. New Mexico, Arizona, Colorado and especially California are way better destinations. Just say’n. TX state parks are great, as is the national sea shore. Try Texas State Parks. Great experiences! If you stop in Waco, be sure and check out the Texas Ranger’s Hall of Fame and Museum. The ladies may also like visiting “the silos”, part of Chip and Joanna Gaines (stars of The Fixer Uppers) latest business venture.